The Global Social Service Workforce Alliance brings together groups and individuals in order to provide a forum for discussion, sharing of promising practices and tools, and exchanging innovative approaches toward advocacy, all with the aim of strengthening the social service workforce. Our network comprises 2,200 members across all sectors in 134 countries. To support these efforts, become a member. Every year, World Social Work Day is celebrated the third Tuesday of March, and events are organized throughout the month of March. This year World Social Work Day is on March 19. The day is an opportunity for social workers and others in the social service sector to celebrate their achievements as well as to raise awareness and support for the important role that social workers play in the lives of vulnerable families and communities. The day calls attention to the need for further planning, development and support to the profession and social service sector. If you will be holding an event in March, please let us know so we can share with the network. 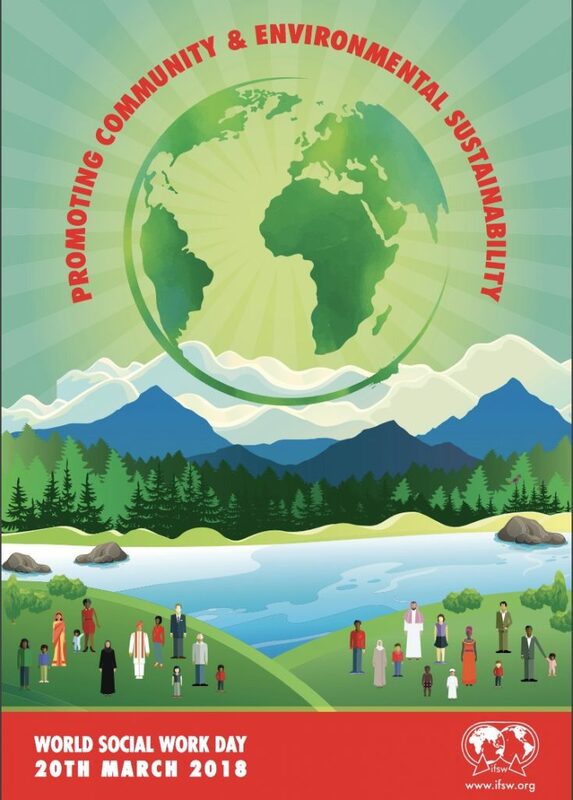 The World Social Work Day poster is now available from the International Federation of Social Workers. Advocates are encouraged to translate the poster into local languages and then share with IFSW for broader distribution. The Alliance will be presenting during the Global Social Welfare Digital Summit on March 20, 10:30 am ET on the topic "Innovative Approaches to Advocating for the Social Service Workforce." Join online to learn about materials and methods to advocate in your country to government and decision-makers. Registration is required. Social Work Day at the UN in Geneva will be celebrated on March 19 with an event organized by IFSW, OHCHR and Avenirsocial on the theme "Social Workers – standing up for Human Rights" and a second event on March 20 on the theme "Social Work, Gender and Sexuality: Towards Empowerment, Equality and Inclusion. Social Work Day at the UN in New York will be celebrated on April 1 on the theme "Strengthening Human Relationships, Policies and Programs to Protect Children." A student event will be held the day before. The events are co-organized by IFSW, IASSW and ICSW. Registration opens on March 4. The Network for Social Work Management celebrates the many accomplishments of social work managers throughout the world from March 11-15. They encourage those on social media to share stories and recognize social managers by using the hashtag #socialworkerslead. In Sri Lanka, social workers are organizing a march through the streets of Colombo to display banners and posters on promoting the importance of human relationships and to demonstrate the value of social work in building a just society. They plan to conduct a press conference and hold a seminar on the importance of making social work a recognized profession in Sri Lanka. Throughout the month of March, the National Association of Social Workers in the United States celebrates Social Work Month. The 2019 theme is "Elevate Social Work" and a number of resources and materials are available to download. The Congressional Research Institute for Social Work and Social Policy will hold a student advocacy day and social work advocacy day on Capitol Hill in Washington, DC. Social Services of Cambodia will host a World Social Work Day event on March 20 that will be live streamed to allow global viewing. Social Workers Sierra Leone will again host a number of events on World Social Work Day to showcase the relevance of the profession to national development, including a validation exercise for finalization of a national standardized curriculum on social work education. The Community of Practice (Mental Health) team will host a symposium on March 16 in Singapore to promote mental wellness among social service practitioner with the support of the Social Service Institute. The Finnish Association of Social Workers is organizing an international evening in Helsinki to discuss how members can become active internationally. In Bulgaria, a regional forum on good educational and professional practices in the field of social work will be held March 28-29 at the Angel Kanchev University. The National Association of Social Welfare in Sweden is organizing a conference on 'The art of being a Social Worker – the strength of human relationships' to be held in Stockholm on March 19. The conference will describe the theme from three perspectives: research, professional and service users perspectives. The Association of Professional Social Workers and Development Practitioners (APSWDP), India, is organizing a Capacity Building and Training Workshop on Effective NGO Management and Sustainable Development Goals for local actors, social workers, NGOs, CSOs, CBOs and youth networks from March 29-31 in Chandigarh. The Kerala Association of Professional Social Workers (KAPS) in India is organising a series of programmes through March including public meetings, honoring contributions in the social work field, seminars, street processions, exhibitions and signature campaigns for recognizing the profession by government. In the United Kingdom, the British Association of Social Workers is planning activities and events, including the formal launch of the Capabilities Statement and the CPD Pathway in social work with people with learning disabilities, which have been commissioned by the Department of Health and Social Care. The Association of Social Workers of Latvia co-organized with the Ministry of Welfare the conference “Social Resources” for social work specialists to be held in Rigaon March 22. The conference will emphasize the importance of resources in the process of social work, with particular emphasis on the four strands of resources – client, employee, approaches, and methods, as well as available services. Students at the Department of Social Work, Faculty of Human and Social Studies, Nagasaki International University, Kyushu Bunka Gakuen, in Japan, have prepared a video to celebrate. In cooperation with the City of Athens / Social Solidarity Directorate and the Association of Social Workers of Cyprus, The National Association of Social Workers in Greece is co-organizing a Scientific Conference from April 5-6 to highlight the action of social workers not only in improving the quality of life of citizens but also in fostering the development of positive relationships by linking people with the local community and all protection networks in terms of justice and dignity and respect. The theme of an event in France on March 18 is “moving towards people” to elevate the issue of social cohesion and highlight the added value of social work and the action of professionals who daily work with people facing various difficulties. Activities being planned within Georgia include development of a video series interviewing social workers on "what is social work for me" and showing to prospective students for social service sector studies. They will also hold a workshop and roundtable discussions on developments and trends in the field. The Social Work Association of Nepal is organizing several events on March 19, including a march and signature campaign to advocate to government for recognition of the profession. The Palestine Social Work organization will celebrate World Social Work Day in cooperation with Bethlehem University and the Ministry of Social Development with a workshop to include video conference participation of Mr. Rory Turell, IFSW Secretary-General. The Department of Social Work Faculty of Social Administration at Thammasat University in Bangkok, Thailand, will hold a seminar on the topic ‘Core Values in Social Work’. At Vytautas Magnus University in Lithuania, a discussion forum devoted to World Social Work Day is being organized, and more than 160 participants comprised of social workers, managers and politicians are expected to attend. The South African Council of Social Service Professions has translated the World Social Work Day poster into all 11 South African languages and shared with IFSW for making available through their website. Social work students in Eastern Uganda visited the village of Bududa to provide psychosocial support and material goods to those affected by recent mudslides. Medical social work students at the University of Ibadan, Nigeria, held a community sensitization campaign on the value of social work and conducted screenings at a juvenile correctional facility. In honor of World Social Work Day, the Global Social Service Workforce Alliance is releasing the 2017 State of the Social Service Workforce Report and held a webinar to review the report findings and recommendations. The Alliance also released the full agenda for the 5th Annual Social Service Workforce Strengthening Symposium, held on May 8, 2018. Organized by the International Federation of Social Workers, the 2018 World Social Day theme highlights ‘Promoting Community and Environmental Sustainability’. This is the second and final year of featuring this theme from the Global Agenda for Social Work and Social Development. The 2018 poster was translated into more than 20 languages. The Network for Social Work Management celebrates Social Work Management Week during March to draw attention to the important work and achievements of social work leaders and human service organizations around the world to advance social justice for all. The association organized events under the IFSW theme and sub-theme “Social work and my environment.” Members and social work universities provided needed supplies to area medical centers. They also held a discussion for 700 social work students, hosted a national Forum and conducted a press briefing to garner attention from media and government. To help call attention to the role of para social workers, the association and the Bantwana Initiative developed worker profiles. Read about the work of Aseu Apollo and Fredrick Oyapel. The Ministry of Social Affairs (MOSA) joined with the national association to host several events throughout March, inclkuding a training on case management for 120 social workers from 32 provinces by the MOSA with support from Save the Children, a competition among social work students on the theme of social development for poverty alleviation, and the association collaborated with social workers in Malaysia and Australia to host updates on social work in the region. Social Work Helper is hosted a Global Digital Summit. Speakers and panelists presented on timely issues facing today’s children and families at home and abroad. The event was held entirely online and continuing education credits may be available. The theme for the annual event was “Social work and youth: towards inclusive sustainable development.” The two-day event included plenary sessions and panel discussions based around the following question: How young people can thrive and contribute to building equitable, inclusive and sustainable communities? The event was organized by IFSW, the International Association of Schools of Social Work (IASSW), the Schools of Social Work of Geneva and Fribourg (HETS-Genève and HETS-Fribourg) and the United Nations Research Institute for Social Development (UNRISD). Natia Partskhaladze, Senior Technical Advisor for the Global Social Workforce Alliance, led a panel discussion. As part of the East Africa Centre for Research and Innovation in Social Work Conference in Kigali, Rwanda, participants marched through the streets of Kigali to raise awareness and support for social workers. Marchers ended at the genocide memorial for a rally to highlight the importance of social work activism. The Congressional Research Institute for Social Work and Policy (CRISP) held the 4th Annual Social Work Day on the Hill as an opportunity for US social workers to advocate to members of the US government for greater support to the profession and social service programs. The 35th Annual Social Work Day at the United Nations was held under the theme SDGs, Climate Change and Social Work Practice. For 35 years students, practitioners, and educators have been convening for Social Work Day at the UN to learn more about the UN and discuss innovative projects and issues related to international social work and the critical role social work plays in the international arena. The national association held its first social work march through Freetown on March 20. They also held a roundtable discussion on March 29. Earlier in March, social workers held a three-day peace education campaign to promote peace throughout the national election process. Read about their activities on their Facebook page. With 650,000 professional social workers in the United States, the National Association of Social Work celebrates Social Work Month each March. The association has developed a number of tools to assist in planning events and promoting the workforce. The Global Social Service Workforce Alliance hosted a webinar in March 2017 on the topic "Advocacy Tools for Raising the Profile of Social Workers Locally and Globally." The webinar highlighted tools available and campaigns underway in three countries. The full recording and summary are available to download. The Alliance has developed a Global Advocacy Toolkit for the Social Service Workforce to provide a common narrative on advocating for the workforce. The toolkit includes factsheets, stories, data and infographics to assist with outreach efforts to policymakers. An infographic depicts the important role of the workforce in achieving the Sustainable Development Goals. If your organization is planning an event for 2019 or has created promotional materials, please let us know by emailing the Alliance or posting information on the discussion board so that it can be shared with others. We also invite submissions of photos and blogs following the event to help raise awareness of all of the events occurring worldwide to promote the social work profession. Read about World Social Work Day activities in 2017 in our blog that originally appeared on the Frontline Health Workers Coalition blog "World Social Work Day Reinforces Need for a Strong Social Service Workforce to Attain Our Global Goals." The Global Social Service Workforce Alliance hosted a webinar in March 2017 on the topic "Advocacy Tools for Raising the Profile of Social Workers Locally and Globally." The webinar highlighted tools available and campaigns underway in three countries. It also include the launch of a new global infographic for promoting the role of the workforce in achieving the SDGs. The full recording and summary are available to download. Around the world, social workers, students and others in the social service workforce came together on March 15, 2016 to mark World Social Work Day. The annual day is an opportunity to recognize the achievements of social workers and social service workers in local and global communities, as well as an opportunity to increase awareness through advocacy efforts. Several high-level events around the world spotlighted the need for a better developed, planned and supported social service workforce to best meet the needs of vulnerable populations. “The International Association of Socials of Social Work (IASSW) believes that learnings from practice should be integrated in social work curricula across the globe so that the new social work workforce is oriented with adequate knowledge, skills and attitudes for working with migrants, refugees and asylum seekers in different contexts. Social workers will need to strengthen and work in partnership with all other agencies and professional groups to ensure that grassroots voices reach the governments and ensure the right to life and well-being for the most vulnerable and distressed people around the world,” according to a statement of support issued from the IASSW on World Social Work Day. In Tanzania and Uganda, social workers, students, professors and government representatives took to the streets to make their voices heard. In Kampala, Uganda, a march was held, originating from Makerere University Freedom Square and traveling through the city streets of Kampala. They carried banners promoting ending childhood marriage. An evening function in Kampala was an opportunity for the Social Work Association of Uganda to call on government leaders to form an autonomous Social Work Council. “Care, protection, family and community support services for the most vulnerable cannot be improved, expanded or sustained without strengthening and regulating the social workforce,” said Michael Byamukama, Regional Psychosocial Support Initiative (REPSSI) Country Representative. “We need to establish a social work council under an act of Parliament to regulate the activities of social workers, as well as auxiliary and paraprofessional workers, in Uganda.” The Honorable Sulaiman Kyebakoze Madada, State Minister for the Elderly and the Disabled, Ministry of Gender Labor and Social Development, then made a commitment before the hundreds of people in attendance to ensure a council is established in Uganda. The conference officially began with a march through the streets of Arusha and ended with a regional student summit. The Tanzanian Minister of Foreign Affairs, Hon. Dr. Augustine Mahinga gave closing remarks emphasizing the need for people-centered social development and governance based on human rights. The attendees then issued a resolution calling for accelerated processes of statutory regulations of social work in the region. The Association of Schools of Social Work in Africa shared this message with its members: Many initiatives are underway to "demonstrate that in Africa, social work educators, practitioners, and students can draw on powerful philosophical ideas, traditions and knowledge systems, and that ASSWA members are working hard to develop these resources into practical, teachable approaches. Indeed, these approaches are beginning to define African social work in unique ways." 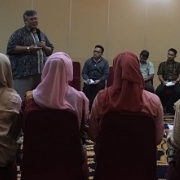 A panel presentation was organized by the Indonesia Association of Social Workers, Centre for Development of the Social Work Profession and the Welfare Worker MOSA. Speakers from Indonesia, Australia and Malaysia spoke on the global agenda for social work in the context of human and cultural diversity. Events were also coordinated in Argentina, Peru and Cuba. In Puerto Rico, the national social work association joined with the local university to host a discussion on social justice. In Panama, social workers joined with other social organizations to demonstrate in the Plaza de la Democracia. “Every one of the social workers of Latin America and the Caribbean every day contribute to the construction of a more just and humane society.” Silvana Martinez, International Federation of Social Work President, Latin America and Caribbean Region. In the United States, events were held throughout the month of March to time with the country’s Social Work Month. More than 400 social work students, faculty and early professionals from more than 45 social work schools and departments gathered on Capitol Hill, in Washington, DC, to engage members of Congress in discussions on social workers providing mental health services to Medicare clients. Student Advocacy Days have been organized biennially since 1999. Additional events, including a policy and politics symposium and a reception with Senator Barbara Mikulski, a social worker, were organized by the Congressional Research Institute for Social Work & Policy (CRISP) as part of Social Work Day on the Hill, March 1-2. As part of National Social Work Month, the New York City Chapter of NASW held a conference on the topic of “Building a Progressive Agenda and Striving for a Better Life for All New Yorkers,” with 1,020 social workers in attendance. The Guam Chapter of NASW conducted interviews with media and hosted a conference on the theme “Holistic Transformation for a Healthy Micronesia.” The NASW Tennessee Chapter will hold their annual Social Work Day on the Hill in Nashville on March 30, with hundreds of students, faculty and practitioners expected to participate. Social Work Day at the United Nations was held in April under the theme Promoting Community and Environmental Sustainability. Read our blog recapping the 2017 event. Additional events were organized by IFSW in Vienna and Geneva on the topic of social workers responding to the refugee crisis. In Vienna, social workers and representatives from relief organizations in 26 countries gathered to develop plans to strengthen the social work response to the refugee crisis. The goal of the workshop is that it will be a catalyst for governments to work more closely with the social service sector to effectively deliver services. As a result of this symposium stronger links have been established between social workers working in the war countries, transition countries and asylum countries. Key instruments have been identified to support the most vulnerable groups such unaccompanied minors, trafficked persons, victims of abuse, people with disabilities and single parents.